Hot off the neonatal catwalks comes London’s must-have new accessory for Spring 2o16: Three-Person Babies. Ah, some sort of New Normal gay couple-sponsored Midwestern farmgirl parenting situation, you say? Uh-uh. Are we talking two fathers inseminating a surrogate with a genetic jambalaya and pinky-swearing to never spring for a DNA test? Nope! Some sort of Arizona and Callie both using the same sperm donor type of situation? Bah! A large majority of MPs in the House of Commons approved “three-person babies” earlier this month. The amendment will permit the use of controversial procedures, aimed at preventing serious inherited mitochondrial diseases. The treatment – called mitochondrial transfer – has also become known as “three-parent” in vitro fertilisation (IVF). This is because the babies, born from genetically modified embryos, would have DNA from a mother, a father and from a female donor. A spokesperson for the Department of Health said: “Parliament’s decision will bring hope to hundreds of families affected by mitochondrial disease. 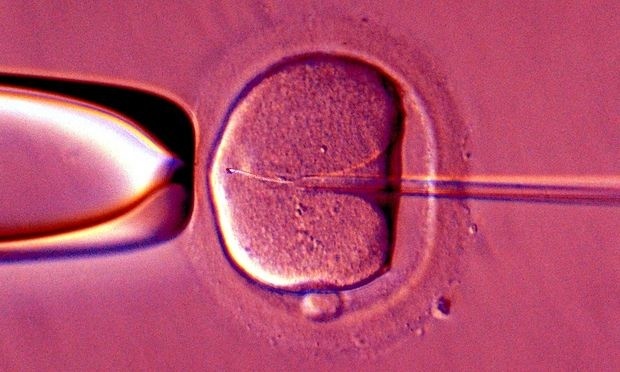 Britain’s recent decision to allow the creation of so-called ‘three-parent babies’ has breached EU laws and “violated human dignity,” a group of MEPs have said.